Patrick Smith/Getty ImagesKirk Cousins is set to possibly become the highest-paid player in the NFL. 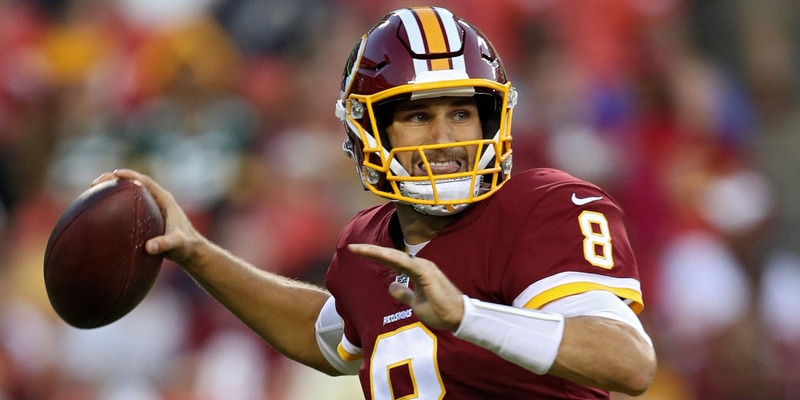 Rumours are swirling about Kirk Cousins and his NFL future, with many beginning to believe the Minnesota Vikings are the front-runners to land the quarterback. While the New York Jets, the Denver Broncos, and the Arizona Cardinals will all likely still talk to Cousins before any official decision is made, there are plenty of reasons to believe that the Vikings are the leading contenders to sign Cousins. Should the Vikings succeed in bringing the quarterback in, they’d likely be among the favourites to win the Super Bowl next season. Kirk Cousins is set to become the highest-paid player in the NFL. With marquee quarterbacks in their prime a rarity on the free agency market and a number of potential suitors looking to secure a long-term solution at the most important position on the field, Cousins is likely to be at the center of a bidding war when free agency officially gets underway on March 14. But if rumours swirling around the NFL are to be believed, Cousins may already have his destination for 2018 set – the Minnesota Vikings. While the New York Jets, the Denver Broncos, the Arizona Cardinals, and more will all still likely make their pitches to Cousins once the opportunity arises, many believe Cousins is already close to choosing the Vikings. On Sunday, reports came out that the Jets already believed they were out of the race to sign Cousins, despite the fact that they had the most money to potentially offer Cousins. At one point, rumours included a front-loaded deal with $US60 million in the first year. Then on Monday, Denver sports radio personality Benjamin Allbright claimed that his Broncos sources believed Cousins had already chosen the Vikings. Belief in these rumours only grew when a report from the Burgundy Blog reported that former Washington Redskins tight end Chris Cooley claimed that an agent told him the Vikings were prepared to offer Cousins $US91 million over three years, fully guaranteed. While it’s all still rumours and hearsay for now, Cousins heading to the Vikings makes a lot of sense. Cousins will get paid and immediately become a part of a contender – something he said was a priority before entering free agency. The Vikings will upgrade at quarterback while retaining a wildly talented team surrounding Cousins. After making the NFC Championship last season, adding Cousins would no doubt jump the Vikings into the Super Bowl conversation ahead of the 2018 season. We won’t know anything until free agency officially begins, and there’s still plenty of time for any best-laid plans to go awry –other reports on Tuesday claimed that Cousins hasn’t ruled any team out and it’s still an open competition to sign him. But even ignoring all the buzz, it’s easy to think of Minnesota as a front-runner to win Cousins as the biggest prize of 2018 free agency.